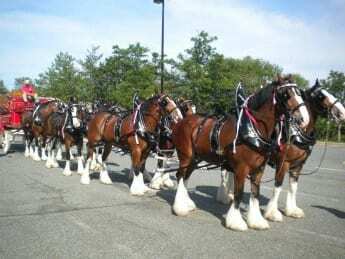 The Budweiser Clydesdales will be returning to The Avenue at White Marsh later this month. The event will take place on Wednesday, May 17th. area from 5 p.m. to 6 p.m. These magnificent horses make for great photographs. Get more details about the Cydesdales’ visit on Facebook by clicking here.